Text and background colors are laminated to the backs of shaped 3/8” acrylic panels. 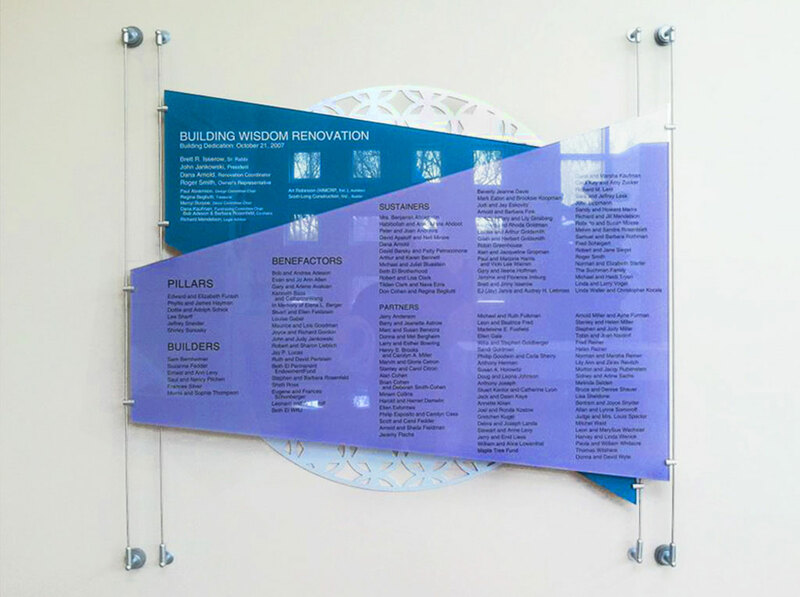 The panels are mounted to vertical metal rods to create this unique recognition wall. A 47” diameter aluminum patterned circle with a non- directional finish is mounted to the wall behind the panels.